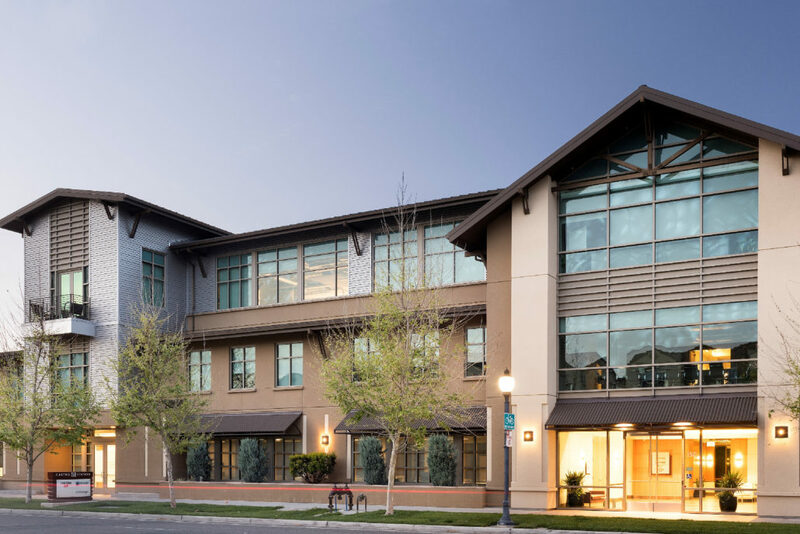 San Francisco, CA (August 17, 2018) — NKF Capital Markets has announced the sale of Castro Station, a three-building Class A office campus totaling 114,809 square feet in downtown Mountain View, CA. NKF Capital Markets Vice Chairman Steven Golubchik, Executive Managing Director Edmund Najera, Senior Managing Director Tyler Meyerdirk and Senior Analyst Darren Hollak represented the seller, TH Real Estate, in the transaction to the buyer, Northwestern Mutual Life Insurance and McCarthy Cook. Castro Station is prominently located with frontage on West Evelyn Avenue, adjacent to Caltrain and within walking distance to the abundance of Castro Street amenities. Built in phases between 2000 and 2014, the three buildings; 100, 150 and 200 West Evelyn Avenue are situated on approximately 4 acres of land. It is 94 percent leased to seven tenants – anchored by Dropbox which recently occupied the entire 200 West Evelyn building after a state-of-the-art creative office build-out. “Castro Station is a generational Mountain View asset, providing scale and direct access to both Caltrain and a diverse amenity base. Castro will continue to be the top performing Mountain View asset as tenants’ demand for Caltrain proximity continues to increase,” said Golubchik. The well-located office campus features ample parking with a three-story below-grade parking garage with 244 stalls and 102 surface-level stalls. NKF Capital Markets, operated by Newmark Group, Inc., is one of the world’s leading commercial real estate advisory firms. Together with London-based partner Knight Frank and independently-owned offices, our 16,000 professionals operate from approximately 430 offices on six continents. We provide access to a wide range of services, including asset sales, sale leasebacks, mortgage and entity-level financing, equity raising, underwriting and due diligence. The transactions we broker involve vacant land, new real estate developments and existing buildings. We specialize in arranging financing for most types of value-added commercial real estate, including land, condominium conversions, subdivisions, office, retail, industrial, multifamily, student housing, hotels, data center, healthcare, self-storage and special use. For further information, visit www.ngkf.com/capitalmarkets. Newmark Group, Inc., which is listed on the NASDAQ Global Select Market under the symbol “NMRK”, is a publicly traded subsidiary of BGC Partners, Inc. (“BGC”), a leading global brokerage company servicing the financial and real estate markets. BGC’s common stock trades on the NASDAQ Global Select Market under the ticker symbol “BGCP”. BGC also has an outstanding bond issuance of Senior Notes due June 15, 2042, which trade on the New York Stock Exchange under the symbol “BGCA”. The MET Video The MET COSTA MESA WINS 2018 RENOVATED BUILDING CATEGORY!